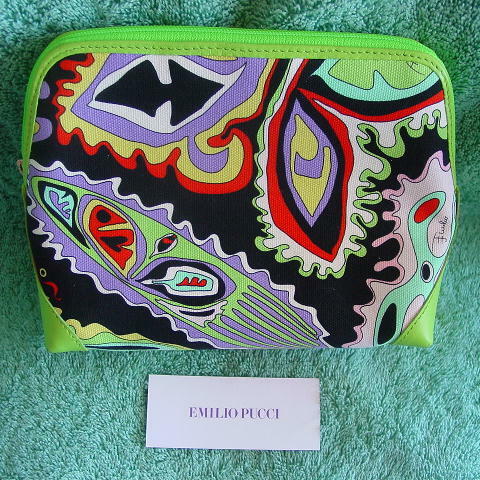 This signature psychedelic prints Emilio Pucci clutch can also be used as a cosmetic bag. 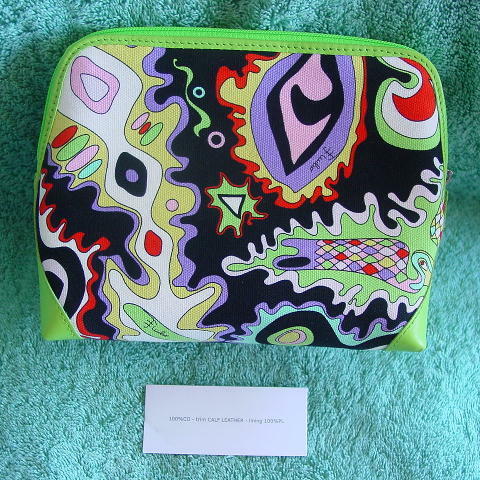 It was made in Italy and the exterior is 100% cotton (canvas) with a bright green calf leather trim (along the zipper edges) and sides. The black polyester lining has a tone-on-tone curved line design and Emilio Pucci Made in Italy is in silver letters. The exterior design is in white, black, purple, red, aqua, bright green, yellow, baby pink, and pale pink. 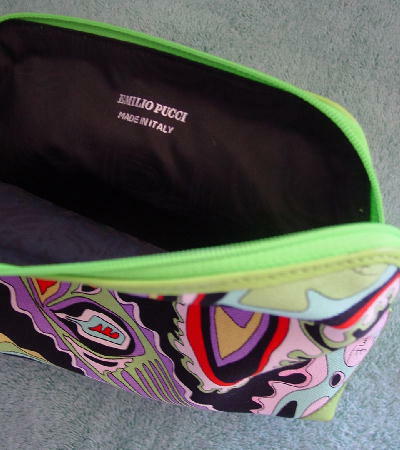 It has a silver-tone and green metal oval zipper pull with Pucci on the green side. The zipper goes across the top and halfway down each side. It has a white 100% cotton made in Italy bag which is 10 1/4" high by 9 1/4" wide. 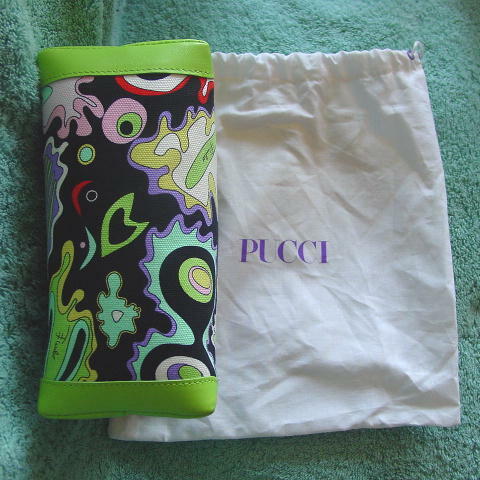 The bag has a white drawstring, purple eyelets, and Pucci in purple lettering. You can also use it as an evening bag. It was used once, as a prop in a photo shoot.